"Weekend course now @ Chennai" Friday ,Saturday and Sunday only. 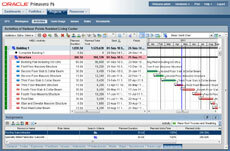 Plan, schedule, track and manage any project effectively to complete project on time within budget. 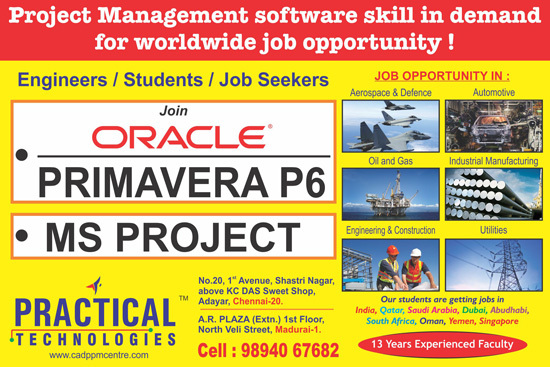 Primavera is a set of general-purpose and industry-specific enterprise project management software. It is used to effectively manage programs and projects. 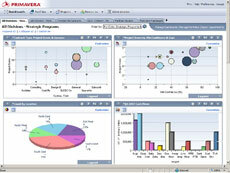 Primavera helps organizations in prioritizing, planning, managing and executing projects, programs, and portfolios. Today, all business is run as projects. Irrespective of the sector or industry you work, you will need to know project management for you to move up the corporate ladder. Primavera tools can provide end-to-end, real time visibility of all corporate information, and helps managers determine correct resources and people with appropriate skills for all projects. With Primavera knowledge you can boost the enterprise agility, team productivity, portfolio predictability, and overall project management efficiently. You will know how to plan, schedule, and control small and large scale projects. You will know how to drive down costs, minimize risk, and deliver results for key stakeholders.